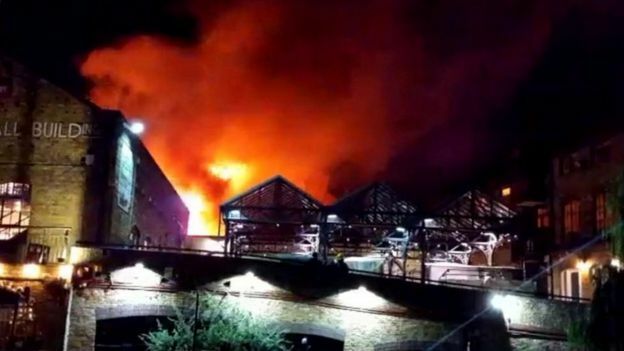 A huge blaze broke out overnight at Camden Lock Market in north London. Seventy firefighters and 10 fire engines were sent to the site, which is a popular tourist attraction, London Fire Brigade (LFB) said. A fire officer at the scene said the fire began in a building containing a number of businesses. 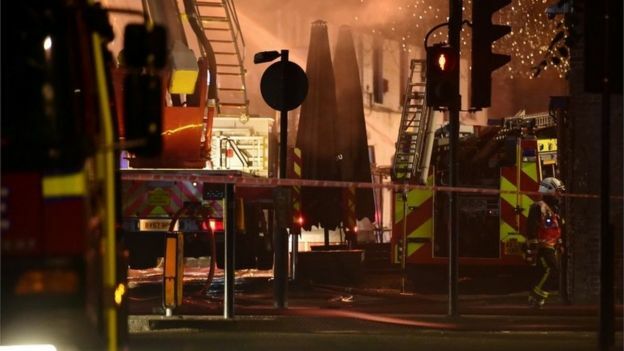 It affected a small section of the area and many stalls and shops were "operating and welcoming visitors and customers as usual", the market said. London Ambulance Service was called in, but confirmed it had not treated any patients. LFB said the first, second and third floors and the roof of the building had been damaged. "Crews worked hard to get the fire under control and to stop it from spreading to neighbouring buildings," station manager David Reid said. 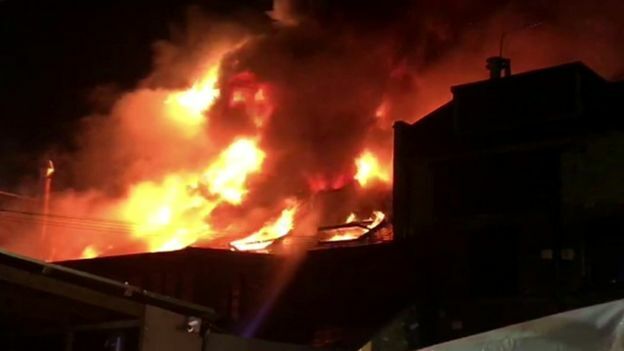 BBC Radio London reporter Barry Caffrey said he had been told by a fire officer at the scene the blaze had begun in a building with an Honest Burger restaurant on the ground floor.